In March, two fine poets left our company. In last month’s post, I mentioned the poet Richard Benbrook. 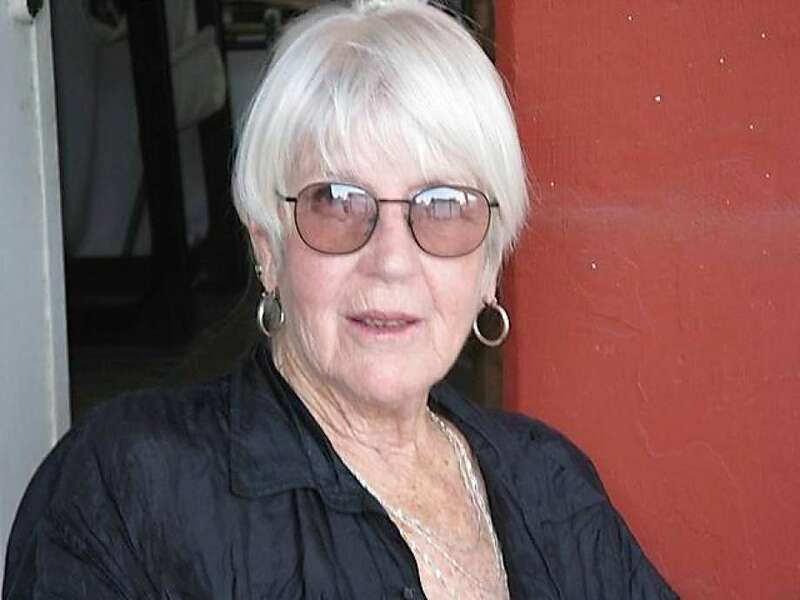 The other local poet who passed away in March is Joanne Kyger. I’d like to take a moment to remember both. Richard Benbrook was an Arkansas native, but he made Petaluma his home in his youth, and then again from 1985 till his death last month at the age of 69. 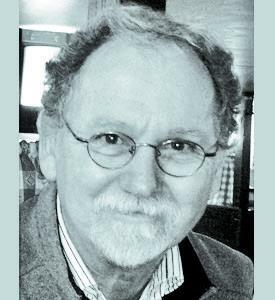 In the SF Bay Area, he worked in design, published a poetry and literary magazine for several years, The Tomcat, and was an award winning political cartoonist for the Petaluma Argus Courier. He was one of us, an original, charismatic figure who brought warmth, whimsical humor and insight to this quirky town, and smiles to everyone who knew him. You’ll find a moving tribute to Richard at this link: http://www.petaluma360.com/entertainment/6875584-181/richard-benbrook-saying-goodbye-to?artslide=0. Joanne Kyger, a student of philosophy and literature, began her artistic career as part of the San Francisco Renaissance and the emerging Beat Movement. 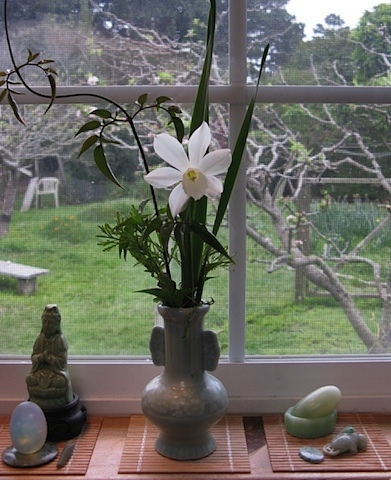 She lived in Japan with Gary Snyder, her husband at the time, and traveled in India with Snyder, Allen Ginzberg, and Peter Orlovsky. She eventually returned to California, settling in Bolinas, where she lived and wrote until her death last month at the age of 82. Kyger published more than 20 collections of poetry. If you’re looking for an introduction to her work, you might check out On Time: Poems 2005 – 2014 (Citylights 2015). I have included one of her poems from this collection at the end of this post. The California State Poetry Society is sponsoring a poetry contest, deadline June 30, with cash prizes and publication in California Quarterly’s journal. Poems can be submitted online or in snail-mail, and there is a small reading fee. For more information and guidelines, check out their website at www.californiastatepoetrysociety.org. There is also still time to submit poems for consideration for Sixteen Rivers’ Upcoming Anthology. The new deadline is May 15. Sixteen Rivers Press is seeking unpublished poems that respond to the cultural, moral, and political rifts that now divide our country: poems of resistance and resilience, witness and vision, that embody what it means to be a citizen in a time when our democracy is threatened.Poets are encouraged to interpret this call broadly. We welcome voices raised in passion and in praise, whether lyrical, philosophical, visionary, or personal. For details and guidelines, visit this link: https://www.sixteenrivers.org/call-for-submissions-our-new-anthology/. Here are some of the many upcoming literary events around the county. You can find details about these and many more on our calendar page. Mondays, May 1, 8, 15, 22, 6:30-8:30 p.m. Jumpstart writers meet at Copperfield’s Petaluma on the first four Mondays of each month, excluding August and December. Workshops are facilitated by Susan Bono and Marlene Cullen, alternating months. Creative prompts are used to inspire writing. Bring a notebook and a fast-moving pen. All writers are encouraged to come. ($15 per workshop). Saturday, May 6, 10 a.m.-4:30 p.m. Writing the Watershed with Elizabeth Herron at the Laguna de Santa Rosa Foundation in Sebastopol. Elizabeth has a history of watershed writing and publication and taught both Creative Writing and Ecological Identity for over a decade at Sonoma State University. Writing exercises and time outdoors at the beautiful Laguna Foundation. Saturday, May 6, 2:00 p.m. An Hour Of The Spoken Word & Live Music with poet Jonah Raskin reading from his book, AURAS, accompanied by stand-up bass player, Steve Shain. Location: Rincon Valley Library, Santa Rosa.